HRH Prince Harry is visiting Nepal for the first time from 19-23 March 2016 on an official visit that further enriches the great history and strong relationship between Nepal and the UK. Prince Harry will meet the Nepali Prime Minister, KP Sharma Oli and also meet Nepal’s first female President, Bidya Devi Bhandari. During his visit, Prince Harry will be looking at the consequences of the devastating earthquake that struck Nepal in April 2015. 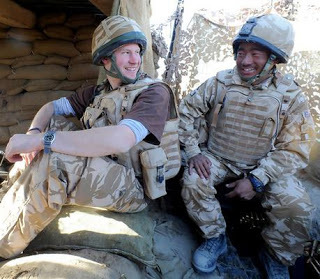 He will witness first hand, the excellent work the Gurkha Welfare Trust and our serving soldiers from the Queen’s Gurkha Engineers are doing to rebuild homes, schools and water infrastructure in those areas worst affected. 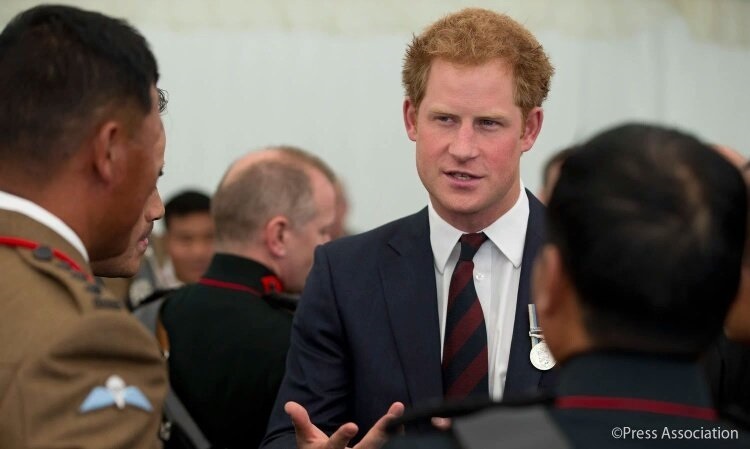 Prince Harry will be visiting British Gurkhas Pokhara, the birthplace of the Brigade of Gurkhas, to learn more about Gurkha Recruitment into the British Army. He will go trekking in the foothills of the Himalayas, visiting traditional Nepali villages and staying with retired Gurkha servicemen and their families. 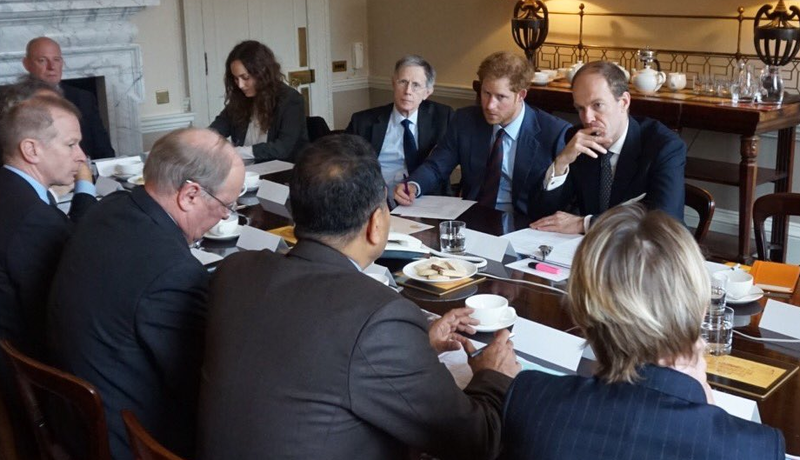 Colonel Brigade of Gurkhas, Col James Robinson (Col BG) and Director Gurkha Welfare Trust, Col (Retd) William Shuttlewood OBE, met Prince Harry at Kensington Palace on Thursday 10 March to discuss the upcoming visit. Prince Harry is clearly looking forward to his visit and it is apparent he wholeheartedly values the vital contributions of Nepal to the UK over the last 200 years. 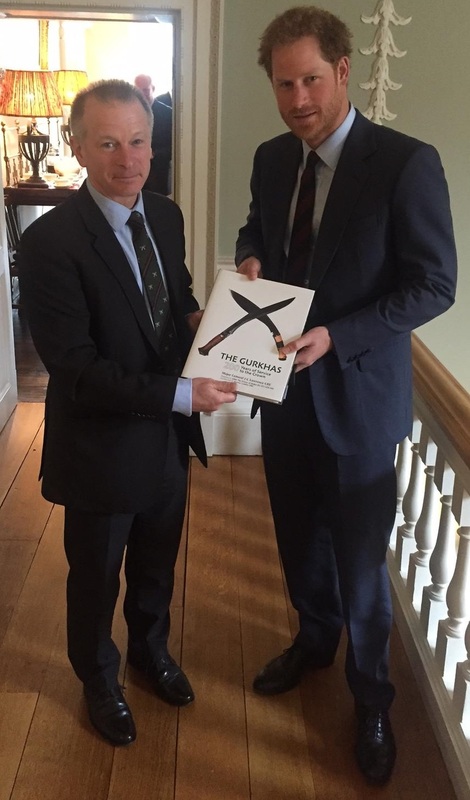 Col BG was delighted to be able to present Prince Harry with a copy of the book, The Gurkhas – 200 Years of Service to the Crown, written by Major General J C Lawrence CBE. There will be a lot more coverage of Prince Harry’s visit both on our website and our social media pages. More details about Prince Harry’s upcoming visit to Nepal have now been publicised in The Kathmandu Post.